Section 156(1) of the Insolvency Act sets out the main legal effects of restructuring plans. Once a restructuring plan has been confirmed, the debtor is discharged from its debt and subsequently no longer needs to pay its creditors their deficiency or repay other granted benefits, irrespective of whether those parties participated in the proceedings or voted on the restructuring plan. This restriction also applies to creditors that voted against the plan or that did not have the right to vote. Consequently, any claims that were not registered during the insolvency proceedings – even if they should have been – fall under this restriction and cannot be repaid. That said, exceptions to the rule exist. Under Section 156(4)(IA) of the act, if a creditor's claim is not included in the restructuring plan due to a fault of the debtor, the creditor may request payment of the full claim amount, even after the insolvency has been completed. However, this provision must be interpreted restrictively. It is principally a creditor's responsibility to manage its claim, including determining the debtor's insolvency status. The Supreme Court has gone one step further by specifying that repayment of a claim in full can be requested if the claim was not included only because of a fault of the debtor. This is not the case if a claim is excluded from a restructuring plan due to the creditor's carelessness. As a result, even slight contributory negligence on a creditor's part will suffice to exclude an application from the exception and allow for the full legal effect of the restructuring plan. The Supreme Court recently confirmed these standards and ruled that if the facts show that a creditor had sufficient knowledge of insolvency proceedings or an insolvency claim and still did not register the claim, it will be considered to be at fault. Accordingly, the creditor will be unable to enforce its claim against the (newly restructured) debtor. Further discussion on the scope of creditors' duties – particularly on the topic of a private individual (as a non-business person) not being liable to inspect the (public) insolvency register – were omitted and dismissed as irrelevant to the proceedings at hand. This question remains open for future debate. For further information on this topic please contact Alexander Isola and Fran Gebauer at Graf & Pitkowitz Rechtsanwälte GmbH by telephone (+43 316 833 777) or email (isola@gpp.at or f.gebauer@gpp.at). 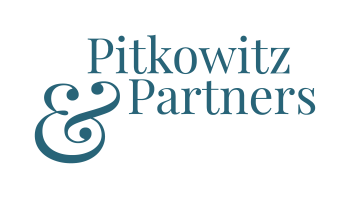 The Graf & Pitkowitz website can be accessed at www.gpp.at.